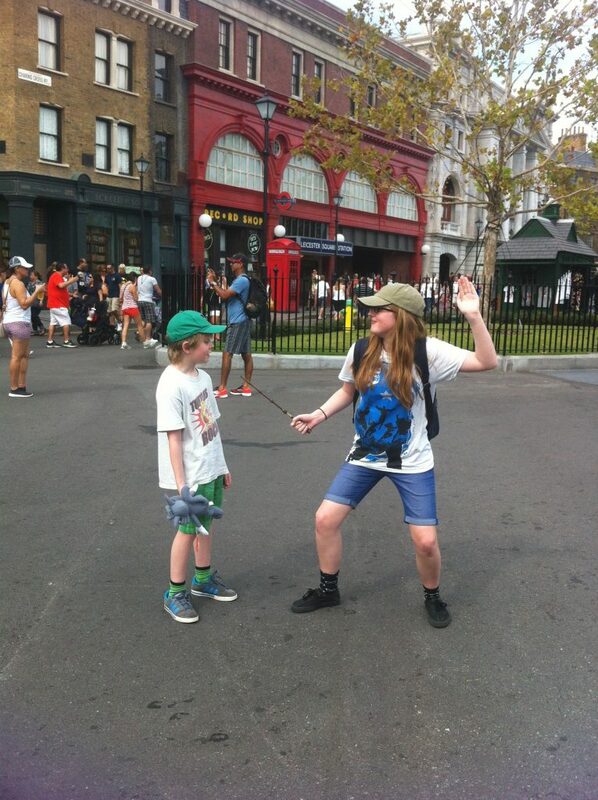 Harry Potter Florida or Harry Potter London. Or both? To give them their proper titles, we’re talking about the Harry Potter rides at Universal Studios Florida, versus the Warner Bros. Studio Tour Watford (cos it’s not really in London, but close enough). This year our geek family travels have taken us to both, so how did they compare? Let’s get that clear from the start – we loved them both. But they are very different experiences. Florida is all about the rides. London is all about the authentic sets and props. Because of this, you can’t touch much of what you see on the UK studio tour. 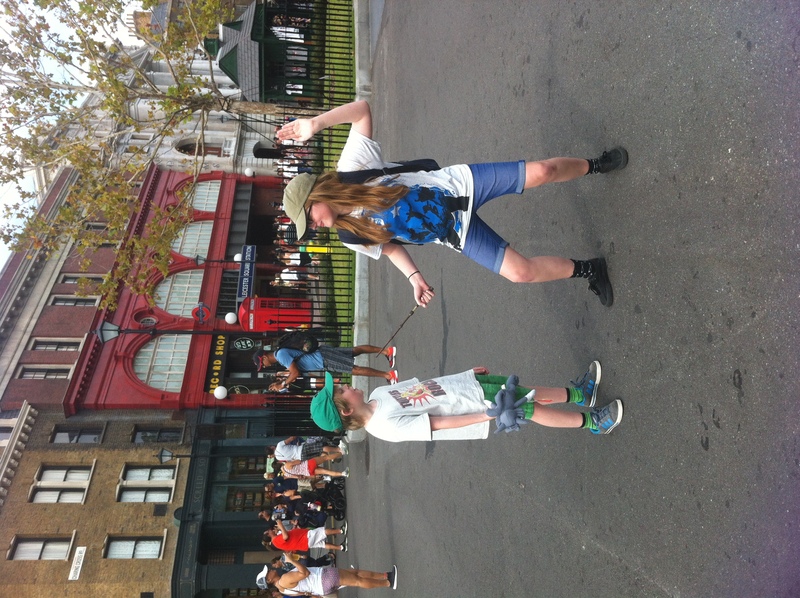 However, Universal’s Harry Potter attraction was purpose-built, and therefore it’s able to be much more interactive. So whilst you will see a lot of the same things in both, you can really get up close and magical in Orlando. Enter via a mini King’s Cross station to poke around the shops of Diagon Alley, then take the Hogwarts Express over to Hogsmeade. The down side is that Florida HP gets incredibly busy. London HP limits the crowds by keeping visitors to timed, pre-booked slots so it never gets totally heaving with people. Florida is definitely heaving – and a lot of people dress up, so time to crack out those Hogwarts robes. If you are going to Universal Orlando, be aware that the Harry Potter rides get incredibly full, quickly. There is no Fast Pass option, so it’s simply a case of queueing…and queueing…and queueing. Hence you could easily spend a few days exploring the Harry Potter Orlando experience, whereas you’ll be in and out of the Studio Tour in about 3 hours. Even though Harry Potter Florida is all about the rides, that doesn’t mean it’s too rollercoaster heavy. The rides vary from the sedate pace of the Hogwarts Express to the 4D nerve tingler Forbidden Journey. The newest ride is Escape from Gringotts and this is a combination rollercoaster and 3D ride. It’s not the sort of coaster that spins you upside down, but it will toss you from side to side a bit. However, some of the rides still have teething troubles, even though they’ve been open for a while. Half our family was left dangling in mid air looking at a green screen when Forbidden Journey broke down mid-ride. The good news is that queues (at least when we went at the end of October) are not so big for this ride now (sometimes as low as 10 minutes) so they were able to have another go. If the rides are a priority for you, go there first before you check out the street shows and shops. Speaking of which, there are some great shows running all day at Universal – the Frog Choir is like Glee meets Harry Potter. You can also dine at the Leaky Cauldron and other famous HP watering holes. 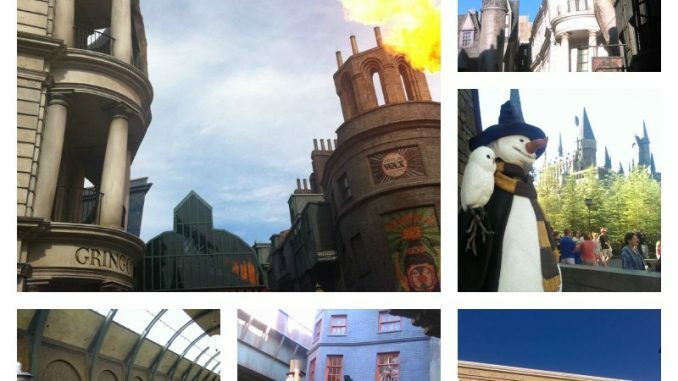 So to fellow Harry Potter geeks we say – whatever the spell is that will get you to one of these magical attractions, cast it immediately. 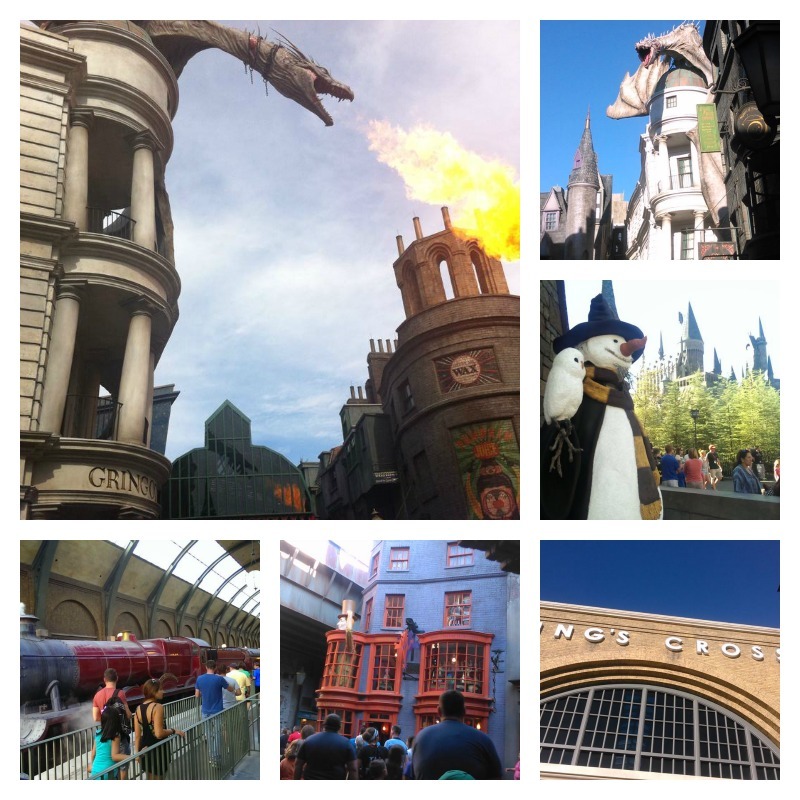 Have you been to the Harry Potter theme parks? What did you like about them? If you’d like to go, what are you looking forward to most?